Online betting on my Android device is always sort of a love/hate thing with me. 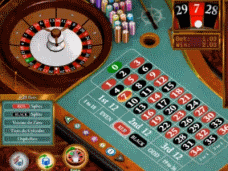 Sites that really put their bricks behind the development of a mobile platform usually do a great job of delivering a casino experience on my Android that is very enjoyable. On the other hand, you have casino sites that make their mobile experience an afterthought. They put few resources into their platform and the punter ends up suffering because of it. Thus, it is good to see that Atlantis Gold is a casino that has thoroughly put in a lot of effort into seeing their mobile platform become a great experience. 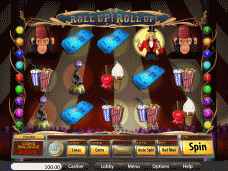 The site is easy to navigate on Android devices and the casino games are a lot of fun. I can tell you right now that this is a good casino and that you should definitely check it out. Want more details as to why I think so highly of this mobile casino? Read on to get the full story on my Atlantis Gold Android experience below. When I first came to the Atlantis Gold Casino website on my Android phone, I instantly recognised the mobile casino platform. This casino is powered by BetOnSoft and includes a very easy to navigate system. Buttons are large and easy to hit, even with large thumbs. The entire casino site is easy to navigate on my Android phone and I found the menus very easy to get through. 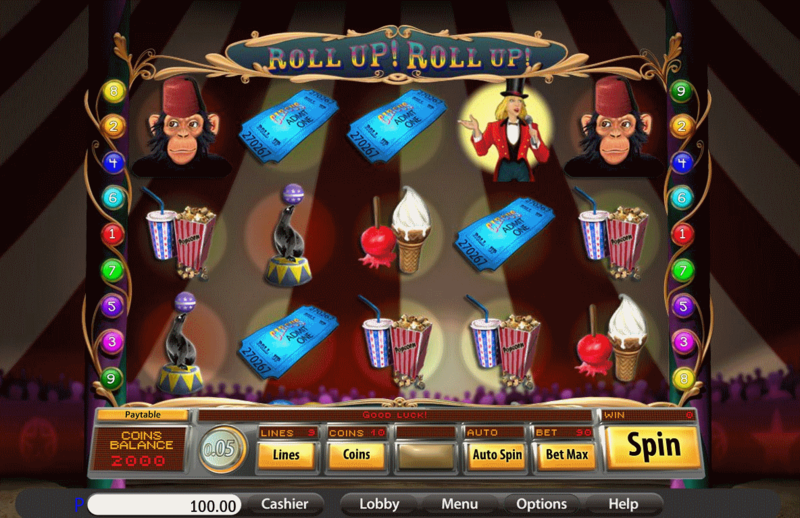 I also found that the design is very intuitive to casino users of all levels. Because this was my first time at Atlantis Gold Casino, I had to get an account registered before I could deposit and play. Doing this on my phone was a simple process, as I was able to input my information quickly and got the whole process completed in less than two minutes. Because I am playing from the United States, my deposit options on my mobile device were limited to just my MasterCard. This is a bit of a surprise, as generally I find that Visa is the preferred method for most US-friendly casinos. Even though I would have liked to see more options, I can say that my deposit method was accepted quickly and I ended up getting the money credited to my account instantly. After getting my deposit credited to my account, I ended up contacting the customer service staff to get an initial deposit bonus credited as well. I ended up being treated to a 90% match of my initial $100 deposit, which gave me a starting balance of $190. The bonus is alright, but I have seen similar mobile casinos offer a full 100% match with a similar requirement set. You can definitely do worse than Altantis Gold on your mobile betting bonuses, but there are still other sties that offer a bit more. While the bonuses and banking are limited, and a tad underwhelming, the customer service at Atlantis Gold is top-notch. I was able to contact casino support through my Android smartphone, using the live chat function to get through to my rep. I had a few questions regarding the mobile casino platform as well as bonus questions, all of which I directed to the same support person. They were helpful and friendly, and I found the answers that I was given very satisfactory. I really enjoyed the games that I got to play on Atlantis Gold’s Android casino. There are roughly 30 video slots on offer here and most of them are great ports of their PC counterparts. Graphics and animations are bright and action packed on my Android phone and I never experienced lag or any other issues that I see on so many other Android casinos. The whole experience here was great in terms of the slots, with my personal favorites being Wild Wizards and Rising Sun. Video Poker is also on offer at Atlantis Gold’s mobile casino, with eleven different varieties of the games making sure that your Joker Poker, Deuce’s Wild, and Jacks or Better itch is properly scratched here. The games aren’t as graphically involved as the video slots, but do play well enough and should keep you entertained for quite some time. My biggest disappointment with Atlantis Gold’s Android casino is the fact that there are no table games. This is a necessity of any online casino in my eyes, and hurts the overall rank of Atlantis Gold’s mobile casino in my eyes, as I like to play Three Card Poker, Blackjack, and Roulette on my phone whenever possible. After a day of playing at Atlantis Gold on my Android phone, I decided that it was time to withdraw my small winnings and move on to another casino. I ended up being able to withdraw money through either a check or a bank wire. I ended up requesting a paper check, which took about a week and a half to be delivered to my door. I found this to be a reasonable timeframe for my checks, as I have had other US friendly casinos take upwards of a month to get my money to me. 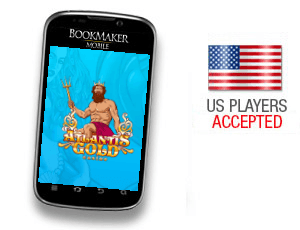 Overall, I feel that Atlantis Gold’s Android casino is a good mobile betting site that has a limited but solid banking system, great support, and fun mobile slots on offer. I do wish that the casino could add some table games as well as additional banking options, but am pretty satisfied with the mobile betting experience I had here on my smartphone.